Supply Chain Archives | Page 3 of 16 | Morai Logistics Inc.
Mexico continues its rise as an important global logistics hub with the opening of a new container terminal at the Lázaro Cárdenas port, earlier this month. 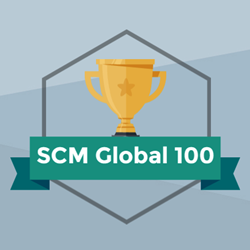 There are ten reasons why this is important to companies with supply chains in South America. Lázaro Cárdenas is Mexico’s busiest port and considered one of Latin America’s most important. With the improvements, it’ll also be the continent’s most modern port. According to the World Bank, Mexico’s imports have grown more than 30% since 2010. Container volumes are also up 60% in just the last three years. These statistics, along with the fact that it has more than 45 free trade agreements, is the reason behind Mexico’s meteoric rise as an important global logistics hub. That’s why this month we’re going to be focusing on how this new port is something to be very exited about for cross-border logistics and supply chain professionals looking south of the border! 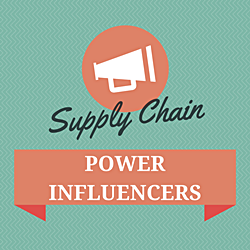 With many career options, interest in logistics and supply chains is growing as more people want to know where their purchases came from. But did you know how large and varied the entire logistics and supply chain industry is? When thinking about career options, there’s a whole world or responsibilities awaiting this industry. Technology such as RFIDs, barcodes and the internet have allowed for products to tell their rich histories to consumers. It’s not surprising then that more people are becoming interested in how things get from A to B. 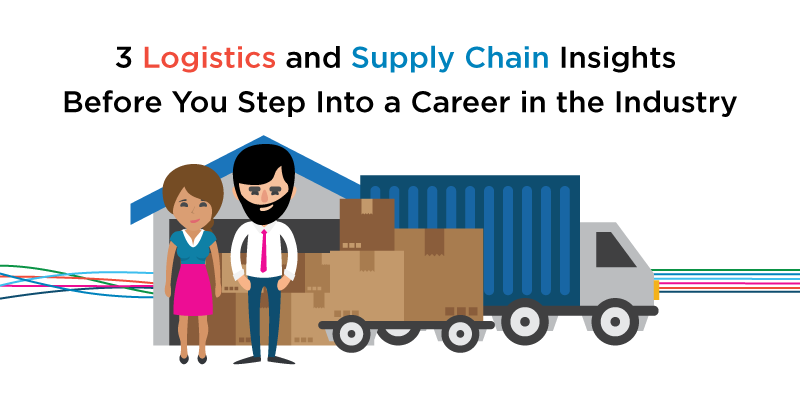 That interest may even grow to become an active step towards a career in the logistics and supply chain field. However, the industry is much more encompassing than most people realize. It can even seem overwhelming if you haven’t done your research. To get a better understanding of the field, we’ve compiled a list of three things to know before you make the jump. The logistics and supply chain industry is big, very big. In the U.S alone in fact, over 55 million tons of freight was moved daily in 2013. The freight was valued at $50 billion. Both numbers have since grown. As of 2015, U.S business logistics costs alone sat at $1.48 trillion. These numbers aren’t surprising. Although the industry goes mostly unnoticed by most people, it’s responsible for every step of a product’s journey from the manufacturer to the customer’s hands. The process isn’t simple, it involves a lot of moving parts and planning. Various stages of delivery and transportation are involved to ensure they reach the right location at the right time. With companies becoming bigger, more international in reach and scope, the demand and complexity of supply chains grows as well. 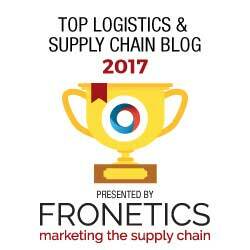 There’s a distinction between supply chain and logistics, although the two terms are sometimes used interchangeably. Quora contributor Anastasia Kelm, outlines the differences clearly in this discussion thread. Logistics — That part of supply chain management that plans, implements, and controls the efficient, effective forward and reverse flow and storage of goods, services, and related information between the point of origin and the point of consumption in order to meet customers’ requirements. Supply Chain — The planning and management of all activities involved in sourcing and procurement, conversion, and all logistics management activities. Importantly, it also includes coordination and collaboration with channel partners, which can be suppliers, intermediaries, third-party service providers, and customers. According to a Fortune.com article, the logistics industry will need to fill 1.4 million jobs by next year. That estimate is conservative when you remember the explosive growth of e-commerce in recent years. The truth is, even if you don’t have a relevant degree (or a degree at all), there’s still plenty of opportunities for you. Logistics is a vast industry and functional supply chains are a building block of any successful business. Not everyone looking to start a career in this field needs to be an operational manager or a truck driver either. There’s many jobs in warehousing, material handling, packaging, and management software. That’s to say nothing of support functions like HR, marketing and communications. To learn more, check relevant job statistics on sites like Glassdoor and see what enrollment would be like at your local post-secondary school. Regardless of the avenue you plan on taking, do your research and determine for yourself if this dynamic field is right for you. 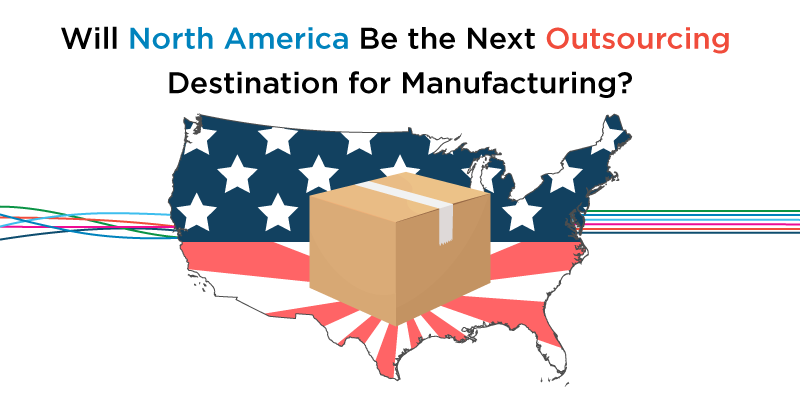 Will North America Be the Next Outsourcing Destination for Manufacturing? Dongguan Win Win Industrial, a Chinese shoe factory that makes high-quality shoes for large American chains, is looking to the U.S to source its manufacturing. Wall Street journal writer Andrew Brown wrote about the story on Tuesday as the growing trend of nearshoring for outsourcing solutions develops. The case Brown looks at isn’t isolated. Other Chinese manufacturers have also built factories in the U.S. In November of last year, clothing manufacturer Tianyuan Garments Co. acquired a metal fabrications plant in Arkansas. Even Hasbro Inc. has decided to source from the U.S. Play-Doh products are again being manufactured locally; something that hasn’t happened since 2004. Over the last decade, an increasing number of manufacturing jobs having been returning from abroad back to North America. While the political climate plays a part, other factors are driving the change. To say that offshoring producer jobs has been popular over the last few decades, would be an understatement. Just between 2000 to 2003, around 220,000 American jobs were shipped overseas annually according to the Reshoring Initiative. 2014 was a turning point. For the first time in over 20 years, there was a net gain of 10,000 jobs brought back to American shores. Combine that with the fact in 2016 alone, Chinese companies invested over $20 billion into the U.S. That figure was practically non-existent just a decade earlier. The trend is set to continue. The 2016 Global Manufacturing Competitiveness Index predicts that the U.S will be the most competitive manufacturing economy in the world by 2020. Rising labour costs in China shouldn’t come as a surprise, especially with some years seeing a 15%-20% annual increase. “In 2004, the cost of manufacturing on the east coast of China was approximately 15 percentage points cheaper, on average, than in the United States. In 2016, that gap was down to about 1 percentage point” report Justin Rose and Martine Reeves in this Harvard Business Review article. The rise in robotics technology has led to greater automation of tasks, further reducing the cost advantage of offshoring. It’s estimated that up to 50% of the work done in a plant today could be replaced through robotics technology. 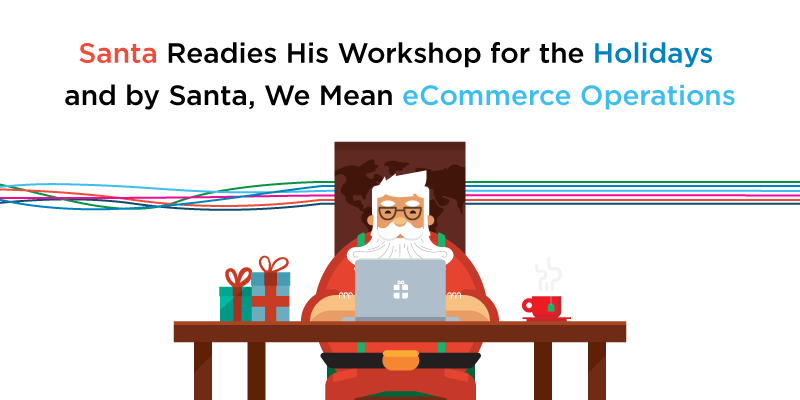 We’re now in the age of e-commerce. Industry giants such as Amazon are already cutting deep into their profit margins to keep up with competitors. The only advantage left is speed. Customers want their items arriving the same day or even hour as when they order. This means it’s becoming more practical for items to be manufactured in-country rather than ship it overseas. It’s too early to say how the growing trend of nearshoring will affect the American job market. Companies like Walmart have already pledged themselves to investing in more local sources. However, that doesn’t mean all the jobs lost will be returning. Customer expectations are pushing supply chains toward greater automation at home, not necessarily more jobs. What is certain, is that as global supply chains grow in complexity and cost, more companies will be looking closer to home to manufacture their items. Few people appreciate what goes into having an item made and delivered to their home. For most, they simply order an item, wait the estimated time and then receive the package. It might as well be magic that made the delivery possible as far as they’re concerned. 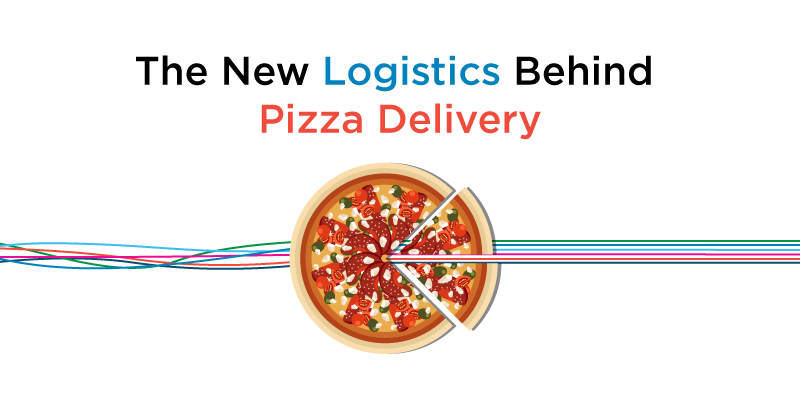 We explore the complicated business of pizza delivery from a logistics and supply chain point of view. Those of us in the logistics and supply chain industry understand the level of work and coordination that goes into each successful delivery. Giant retailers like Amazon and Wal-Mart spend millions in technology, infrastructure and personnel just so their customers can get their packages a days earlier. It’s gets even more complicated for those involved in the food delivery industry. Getting warm food to a customer without it getting ruined, is a complicated task. Just ask the dabbawalas. It’s no surprise then that as the number of deliveries grows, the logistical systems in place become more complex. One company stands as a shining example of food delivery logistics. Not only has it reinvented itself, but it is also pushing the envelope of innovative technology—all in the name of better customer service. If you lived in the right place in New Zealand, you could have a pizza delivered to you via aerial drone. On August of last year, Domino’s Pizza partnered with Flirtey to test the first commercial drone pizza delivery model. Up until then, the only companies dabbling in unmanned drone delivery were e-commerce giants like Amazon and Alibaba and a few others. Having a pizza business adopt similar technology may seem like overkill. That is, until you realize that it’s only the latest effort by Domino’s to become a leading innovator. The company is even investing in artificial intelligence, autonomous vehicles, DRU and voice technology to further improve its delivery services. Prior to 2010, Domino’s was just like any other pizza delivery chain. It’s one highlight being that it had particularly bad pizza. It wasn’t until Patrick Doyle became CEO of the company that things started to change. For Doyle, it was about seeing the bigger picture. Domino’s was always a pizza company, but its also in the business of delivery. It needed to excel in both areas to be successful. Doyle’s plan for success, was to remove customer barriers. Anything that would impede a customer’s ability to select, place and request an order needed to be removed. Thus, the entire business model and company were restructured. Almost overnight, Domino’s saw a return on their efforts after they announced their plans through a series of bold commercials. The company stock jumped 15% by the end of quarter and it continued to grow. It’s now worth 18 times what it was six years ago. Domino’s reach has also grown as its stores can be found in more than 80 countries across 12,500 locations. The company’s commitment to better customer service paid off big time as it’s now the second largest pizza chain in the world. The lesson that Domino’s teaches us is simple, but often forgotten: invest in your customers, and they’ll invest in you. Transparency has been the promise of many CEOs and businesses in recent years. That’s for good reason, customers want to know where the products and the parts came from. “Consumers, governments, and companies are demanding details about the systems and sources that deliver the goods. They worry about quality, safety, ethics, and environmental impact” writes University of Oxford’s Saïd Business School professor Steve New, in the Harvard Business Review. However, ethics isn’t the only reason that a logistics provider should commit to a transparent supply chain. The benefits of transparency affect consumers, but it also has a positive impact on how a company does business and the operation of the company itself. Several studies indicate that transparency is an asset. What many don’t realize is that it goes beyond marketing. Transparency helps your business on three levels: with consumers, with business, and with every day operations. Making a supply chain entirely transparent takes work and commitment. However, the result is a net benefit for all involved. 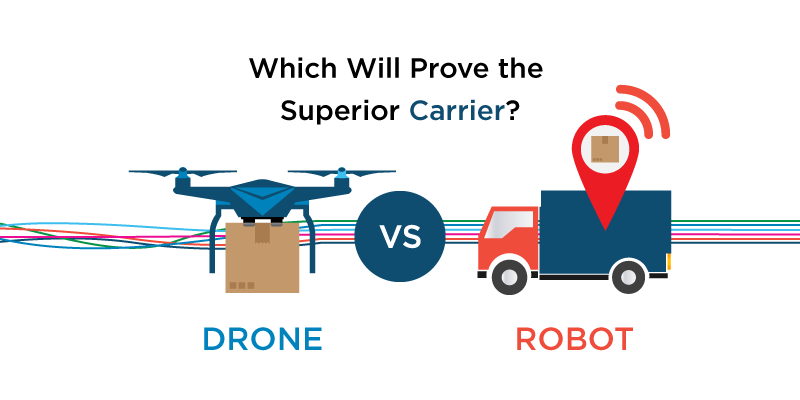 Drone vs Robot: Which Will Prove the Superior Carrier? The direction the big logistics companies are moving towards for their R&D is split between drone delivery and autonomous technology investments. We explore how each are developing in the industry. Earlier this week, FedEx revealed its interest in using autonomous vehicles to make deliveries. FedEx’s chief information officer Rob Carter, says the company is considering using small robot vehicles that could drive around neighbourhoods and make deliveries on their own. The company has partnered with Peloton Technology to achieve this goal, firmly believing this path will be the future of package delivery. Competitors such as UPS and Amazon disagree. They have spent the last few years developing their own aerial delivery drone programs. Their aim is to have packages reach their destination through the air, instead of on the road. The idea of delivery drones was initially met with disbelief when Jeff Bezos, CEO and founder of Amazon initially unveiled the technology back in 2013. After a long approval process, Amazon finally received permission from the Federal Aviation Administration (FAA) to conduct trial runs in early 2015. The approval was likely a response to the Chinese online giant Alibaba, a major competitor, conducting its own drone delivery tests. This event led the way for other companies to develop their own drone delivery programs, and experts weighing in on the potential benefits. “Allowing drones to be flown for business purposes in the U.S. may produce $100 million or more in economic benefits” says Bloomberg writer Alan Levin, reporting on a FAA document. Enhanced delivery speed and eco-friendliness are other benefits expected from these programs. Critics have been vocal about cons as well. Namely, in the areas of privacy, potential for theft of packages and the drone itself, and public safety. Amazon conducted its first delivery through its drone program late last year. Whether the pros or cons win out is now a matter of waiting and seeing. FedEx isn’t the first big business to invest in autonomous technology, far from it. Intel for example, is expected to have $1 billion invested in this field by 2020. Uber has jumped onboard with its acquirement of Otto, the company responsible for the successful testing of self-driving tracker trailers. However, Carter is promising that FedEx’s program will have several distinct advantages over drones. For starters, the vans are expected to be more energy efficient than their aerial counterparts. The maximum cargo delivery limit is also greater. Finally, ground vehicles won’t have to content with the FAA for regulations and flight path approval for urban areas. Peloton Technology’s current semi-autonomous technology isn’t far off from FedEx’s goal. It can electronically link trucks into small caravan groups called platoons. The lead truck can then control the brakes and gas of the convoy, lowering wind resistance and saving fuel. Logistics is a multi-trillion-dollar global industry. FedEx is betting of self-driving robots as the future of cargo delivery. Given the company’s size, that’s 220 countries whose way of receiving parcels and movement of large fleets would be affected. Time will tell if FedEx’s robots will be able to streamline, automate and accelerate the supply-chain industry. 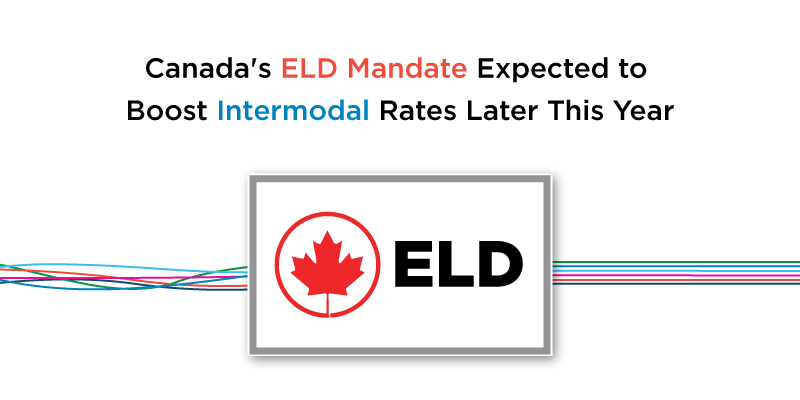 Canada’s Electronic Logging Device (ELD) Mandate is set to affect intermodal transportation favourably in rates, fuel prices and capacity. This is based on the Intermodal Competitive Index (ICI) of the freight transportation forecasting firm FTR. Earlier this week, the condition of intermodal versus truck was described as ‘moderately favourable’ according to freight transportation forecasting firm FTR. Their Intermodal Competitive Index (ICI) showed a slight increase in November to a level of 5.0. The ICI looks compares North American intermodal sector and over-the-road trucking. A negative number indicates conditions are unfavourable. The higher the positive number, the better the favourability for the intermodal sector. Factors affecting the level are intermodal rates, fuel prices and truck capacity. Despite the current state, FTR predicts that the ICI may deteriorate soon because of normal seasonal factors. Thankfully, the ICI is anticipated to start rising again until the end of the year. The rise will be due to the truck Electronic Logging Device (ELD) federal mandate. “While the new administration’s more restrained philosophy with regard to regulation may have some eventual downstream effects on the trucking environment, we believe that the ELD regulation, which has already been formalized into law, will not be recalled…..While the extent and precise timing of the capacity effects of the ELD mandate are open to debate, there seems to be little doubt that its capacity effects will result in some tightening of truck availability which should work to the benefit of intermodal” said Larry Gross, Partner at FTR and principal author of its Intermodal Update, in a statement. The Canadian Council of Motor Transport Administrators (CCMTA) is expected to have a final rule on its own ELD mandate early this year. A Canadian compliance date will likely occur for early next year. The mandate received a lot of enthusiasm from the CCMTA as discussions about implementing a ELD mandate in Canada has been ongoing for nearly ten years. “Though safety and consistency with U.S. guidelines were primary factors behind the change, Canada’s ELD mandate was also motivated by financial considerations as its trucking industry hopes to compete with U.S. carriers who have seen the economic benefit of using electronic logging devices” writes Keep Truckin, a blog about fleet management. Although the Canadian ELD mandate will be a year behind it’s American counterpart, the decision is the right step to improve competitiveness. A high volume of trade is conducted between Canada and the U.S. In fact, the two countries trade around trade $662 billion worth of goods and services with one another annually. Having ELDs be the standard will benefit fleets in a few different ways. For one, the amount of paperwork will be greatly reduced. Secondly, dispatchers will be kept up-to-date with the condition of the drivers, helping them with planning better loads. Thirdly, it will eliminate paper logs and with that, the headache that comes with maintaining it. The American ELD mandate is only 11 months away, but is already predicted to have a positive impact on the intermodal sector. Canada will follow suit next year. Fleets in both countries will benefit in regards to increased safety, planning and efficiency. The North American Intermodal sector has a lot to look forward this year and the next. Trump Pulls Out of TPP – Is NAFTA Next? Earlier this week, newly inaugurated president Donald J. Trump withdraws from the Trans-Pacific Partnership (TPP). Hence, the U.S withdrawal from the 12-country agreement effectively rendered seven years of negotiations a waste. Pulling the U.S out of TPP was one of Trump’s campaign promises. Though, aside from the possible global-political ramifications of the action, what many are wondering now is if he’ll do the same to NAFTA and what all this will mean for the logistics industry. To say TPP was controversial would be an understatement. Several protests around the world were held throughout the negotiations. 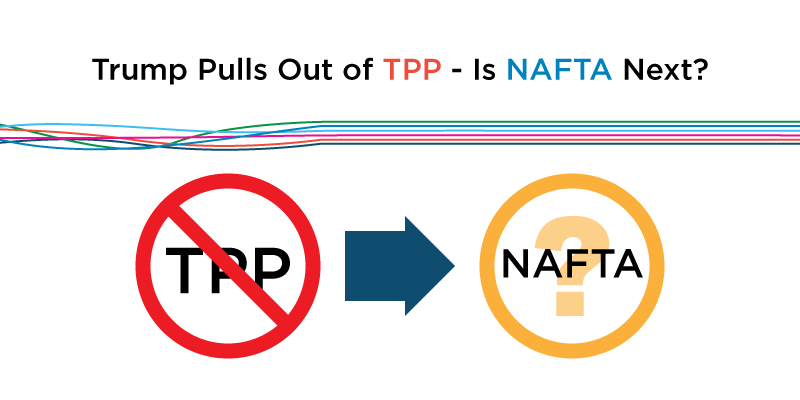 There are many reasons for and against TPP, with both sides passionate about their position. But, the trade agreement would have created a network encompassing 40% of all world trade and affected millions of people across the world. Other global concerns would’ve been impacted as well, including cyber security, environmentalism and free trade. Loss of North American competitiveness — TPP would’ve eliminated more than 18,000 taxes and trade barriers across its member countries. By pulling out of the trade agreement, the U.S and by extension Canada, is losing out on a large section of the global market. Farming manufacturing, and the services and technology sectors will be impacted the most. While Canada and Mexico can still negotiate on their own, they lose a lot of bargaining power without U.S backing. Loss of North American influence over global trade — One notable absence from TPP was China. Some experts theorized the exclusion was intentional. TPP they argue, was an attempt to counter China’s growing economic influence on global trade. China has pushed its own trade pact, called the Regional Comprehensive Economic Partnership (RCEP), which currently has 16 members. By backing out of TPP, Trump may’ve pushed some countries that originally signed to seek other trade agreements, like RCEP. Risk of protectionism — The U.S is not part of the RCEP. If it goes through, experts are worried that it will have tariffs against the U.S. This, along with the shaken confidence of TPP members may raise the number and cost of tariffs. What Will Happen with NAFTA? Trump promised Americans to either renegotiate or outright end NAFTA during his campaign. His actions with TPP indicate he’s serious about his promise. When asked on Monday, White House press secretary Sean Spicer said Trump would rather renegotiate NAFTA rather than tear it up. “Mr. Spicer said Mr. Trump’s complaint is with “multinational” trade deals because they are more complicated to renegotiate. But he said the President was open to bilateral deals – a sign that he might be willing to keep a deal with Canada, even if he makes good on his pledge to change the terms of NAFTA to make it harder for American companies to move to Mexico” wrote Adrian Morrow, reporter for the Globe and Mail. Trump will be meeting with Prime Minister Trudeau and Mexican President Enrique Pena Nieto in the coming weeks to discuss a renegotiation. If NAFTA were to end, it would have serious negative repercussions for the transportation, manufacturing and logistics industries across the three nations. The end of TPP is already having an impact on offshoring efforts. Thus, the coming weeks will see if nearshoring efforts will be upturned as well. 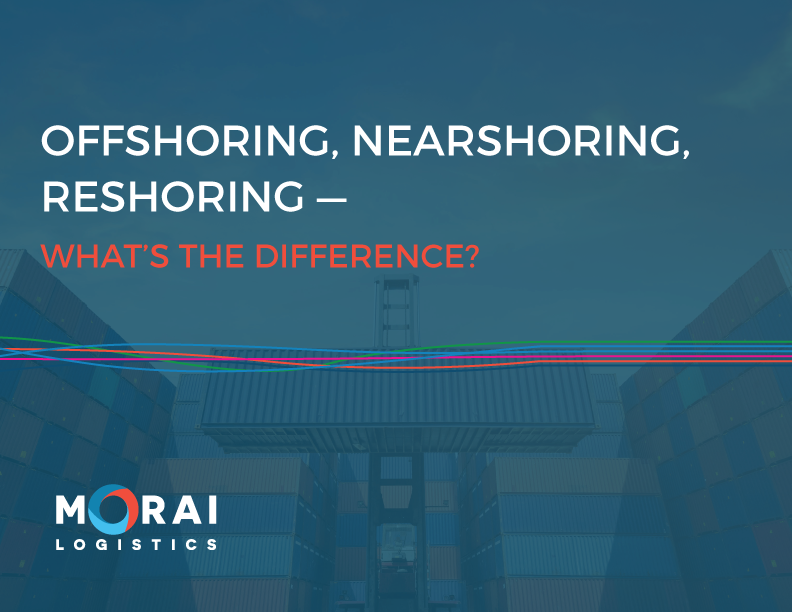 eBook: Offshoring, Nearshoring, Reshoring – What’s the difference? Outsourcing is business strategy of contracting work out to a third-party. Companies use outsourcing to gain access to cheaper labour, larger specialized labour pools, and/or obtain other benefits through an economy of scale. The term encompasses both the setup of a subsidiary, and the off-site activities of a company. For decades, companies used outsourcing strategies to meet the needs of their business, but it was not formally identified as business strategy until 1989. The three main types of outsourcing are: offshoring, nearshoring, and reshoring in the logistics and supply chain industry. The main difference between them is the location of the third-party. Each has its own benefits and costs, but because of the dynamic nature of global political-economy these are always changing. We created this eBook to kick off 2017 to clarify why companies choose a particular offshoring option over another. This way, you can see how manufacturers think about these strategies. There are many advantages to outsourcing certain jobs and functions—cost advantage, access to bigger pools of skilled labour, increased efficiency, and saving on infrastructure and technology. However, the biggest advantage is that it allows your business to focus on core areas. Your business will be able to spend more time on building its brand, R&D, and providing higher value added services. Offshoring, nearshoring and reshoring each have their own distinct advantages and disadvantages. Though, what will work best for your business will depend on its goals and core competencies. Talking to a third-party logistics provider is a very useful way to learn more about sourcing options.